Hello gorgeousness! 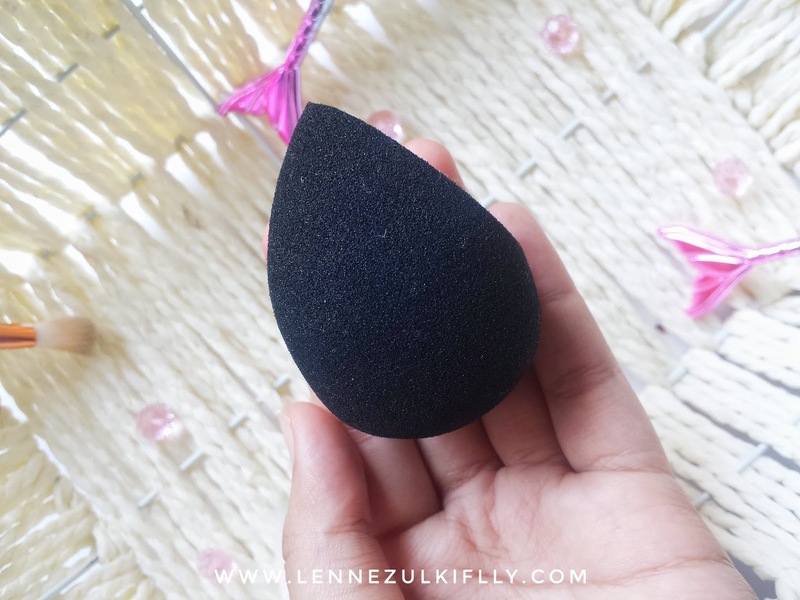 I am a huge makeup sponge applicator fan when it comes to foundation application 'cause I think it's the fastest, fuss-free and overall makes the foundation looks natural and flawless. I have tried most of them - the cheaper options from Guardian, Daiso, Mr. D.I.Y etc. To be quite honest, none of them were my huge, HUGE favorite. 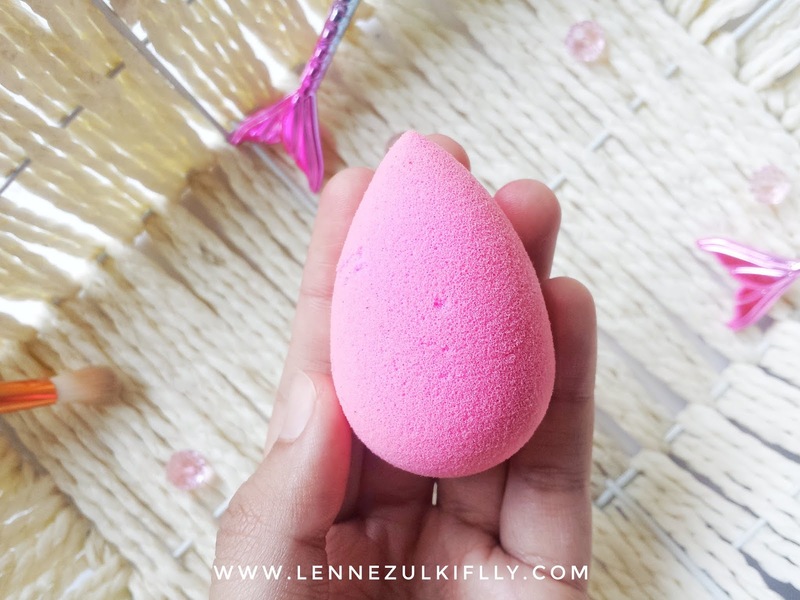 That being said, I am a huge fan of the Original Beauty Blender 'cause I think no one out there can mimic the softness, quality and the way it blends foundation like no other! I have been using it for quite some time. I have tried the Beauty Blender Pro too, but I think it's pretty identical to the original one so it's pointless. But if you have the budget, you can afford it, I say go for it. Who am I to judge. Anyway, I recently went on a huge shopping spree (mainly online) 'cause that is, you can say an escape for me or that's just what I would do when my eyes won't shut at night. I love buying things for me. It feels good, it feels like a reward that I deserve. Okay, back on the shopping spree. So I placed an order for Breena Beauty Blending Pearl in Black. Yup, at last! 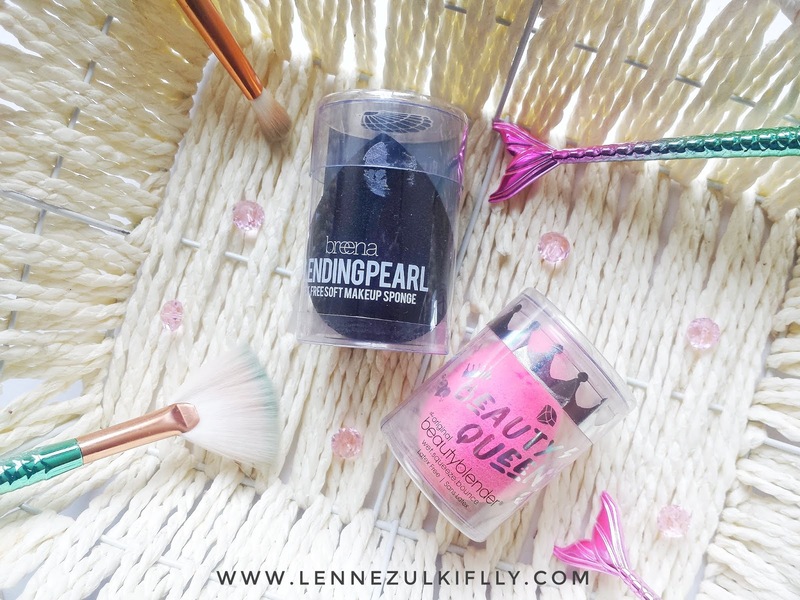 I am so excited to finally try this Blending Pearl because 1) it's made by one of the Malaysian beauty blogger - Sabrina Tajudin; 2) it's way cheaper than the Beauty Blender; 3) people have been saying it is a great dupe for the Beauty Blender. 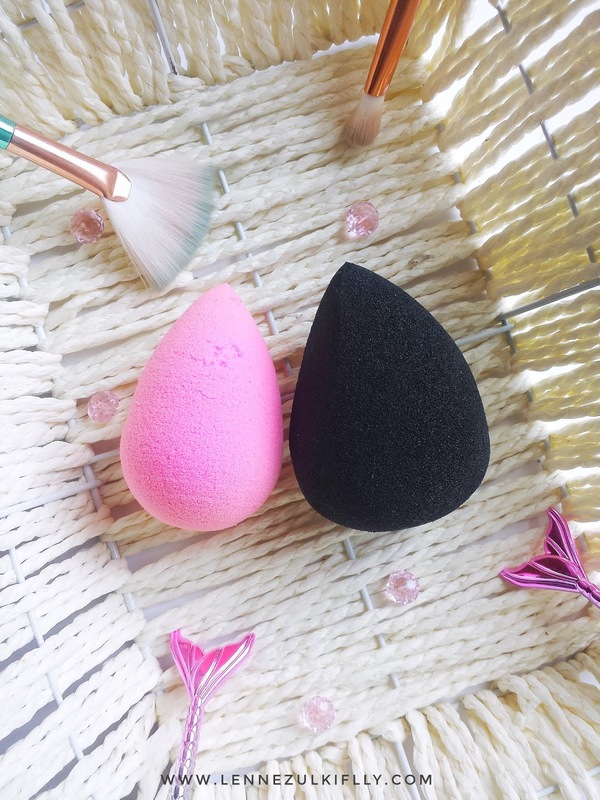 Although I am a huge fan of the Beauty Blender and said that there's no one quite like it, I think I would still be able to give a fair comparison and verdict between these two. Both sponges came in a clear cylinder plastic container. This thing comes in handy when I just washed my sponges and I don't want to throw them just like that in my makeup bag because lord knows how nasty it can get while they're in there. I really appreciate it because I don't have to find a storage to keep these sponges. I can just toss them right back where they belong. You know how Beauty Blender looks like. The iconic pointy egg-shaped, or tear drop kinda sponge that lots of people out there tried to do an impression of (read: copy) but most of the time they're not quite like it. 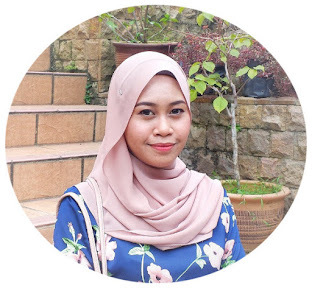 I like the pointy tip because of its 'just right' size and it's capable of reaching the sides of my nose, in between of my brows and the inner corner of my eyes. Meanwhile, the Blending Pearl has the similar tear drop shape with a slanted side/ flat surface for an easy 'baking' application. It looks like the Real Techniques sponge, but not as much. I am so used to Beauty Blender that it felt weird (in a good way, though) using a sponge with a slanted side like the Blending Pearl lol. I noticed that the Breena Beauty Blending Pearl is slightly bigger size than the Beauty Blender, which makes every foundation or concealer application faster. Regardless of sizes, they perform just the same but I will definitely go with the Blending Pearl when I am in a hurry! They. Are. Both. So. Similar! They deliver similar effects and finishes to my foundation look in my opinion. They're also identical in texture if you look closely to both sponges. I honestly think Beauty Blender is softer than the Blending Pearl. The Blending Pearl is quite stiff for my liking. As far as how quick they absorb products, I guess the Beauty Blender absorbs quickly and absorbs more product than the Blending Pearl. Also, both are latex-free and if you have sensitive skin, Beauty Blender is the better option because it's more than just latex-free, it's anti-bacterial too. Let's talk about the quality for a sec. 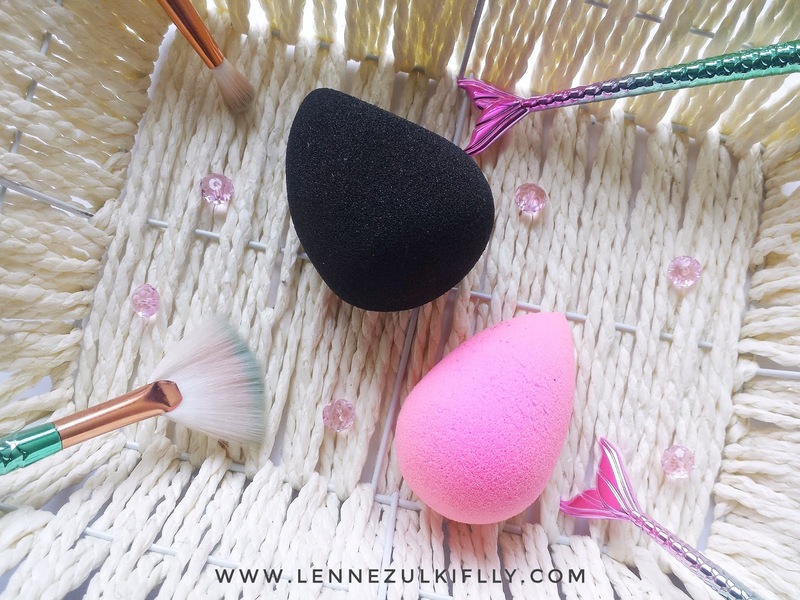 I found that both of them are the best and durable because whenever I am done with my makeup, I wash them immediately and lord knows how rough I can be with them to get a thorough dirt-free and stain-free sponges. They survived my every squeeze, twist and pinch! All in all, I think Breena Beauty Blending Pearl is a good dupe for the Beauty Blender. makes 'baking' process such a breeze! Are you a sponge kinda girl or brush kinda girl? 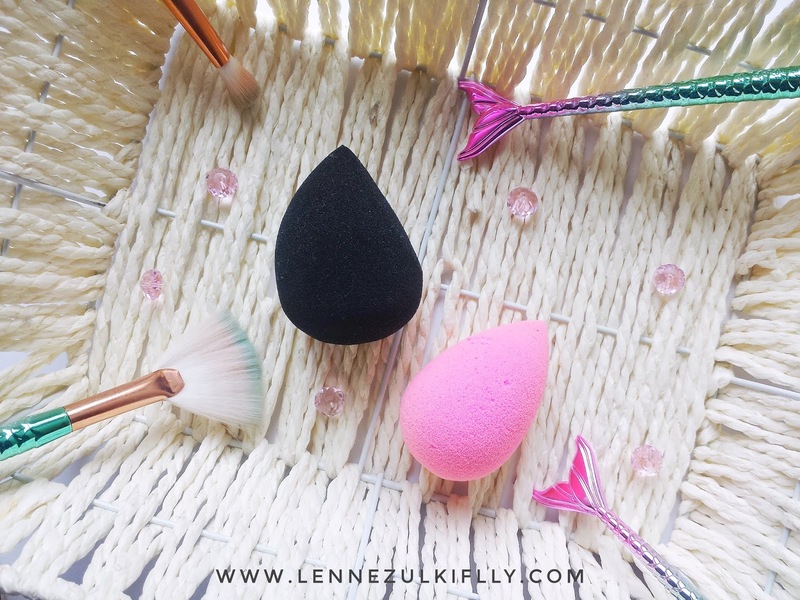 What is your favorite sponge or favorite brush? I KNOW! Both of the quality is just the same in my opinion. Defo worth buying the Blending Pearl! Awh yes! I'm using Breena Beauty Blender as well. Well, honestly, I reached for it bcs of the price point and didn't expect to be wowed by it's quality. To be honest, Blending Pearl is what I reach the most now. I keep my Beauty Blender in its nice container and will only use it for special occasion haha!